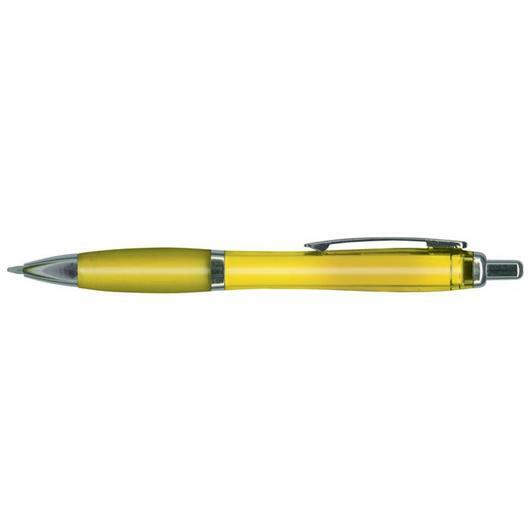 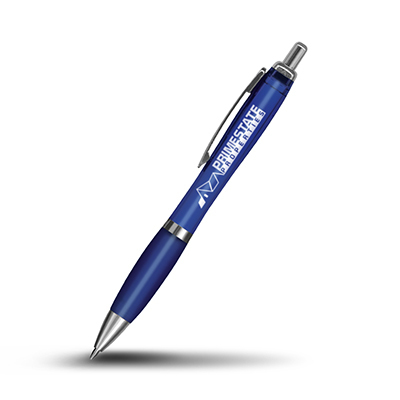 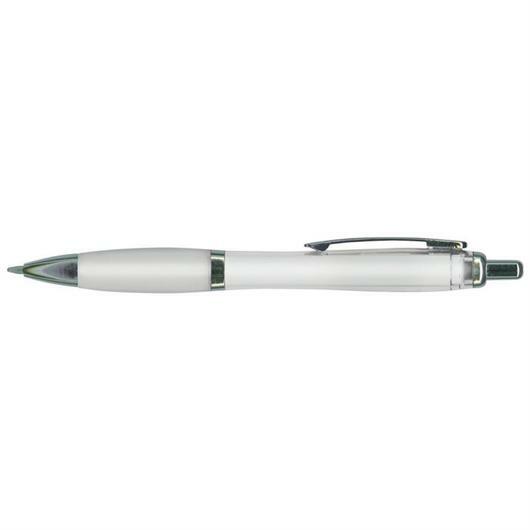 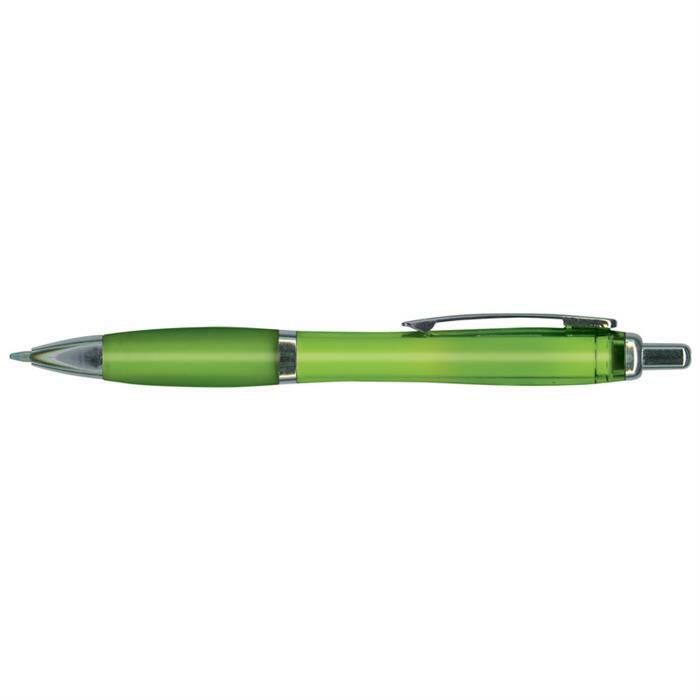 Keep you notes neat and on point with one of these retractable ball pens. 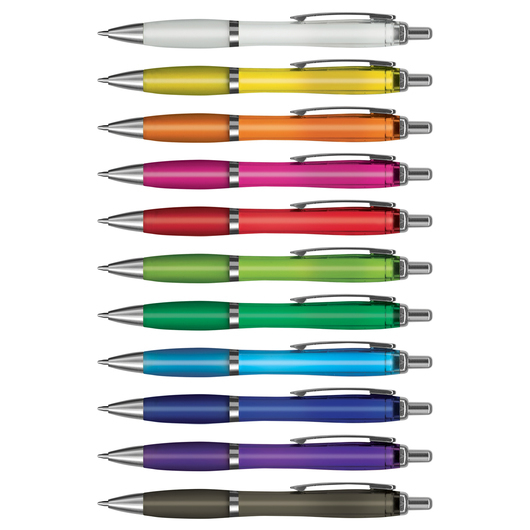 Manufactured from both plastic and metal materials, these ball pens feature a translucent barrel, a frosted translucent soft touch rubber lacquered grip and a shiny chrome trim. They come with a large volume refill of black ink with 1800metres of German manufactured Dokumental ink and a tungsten carbide ball for better writing quality. 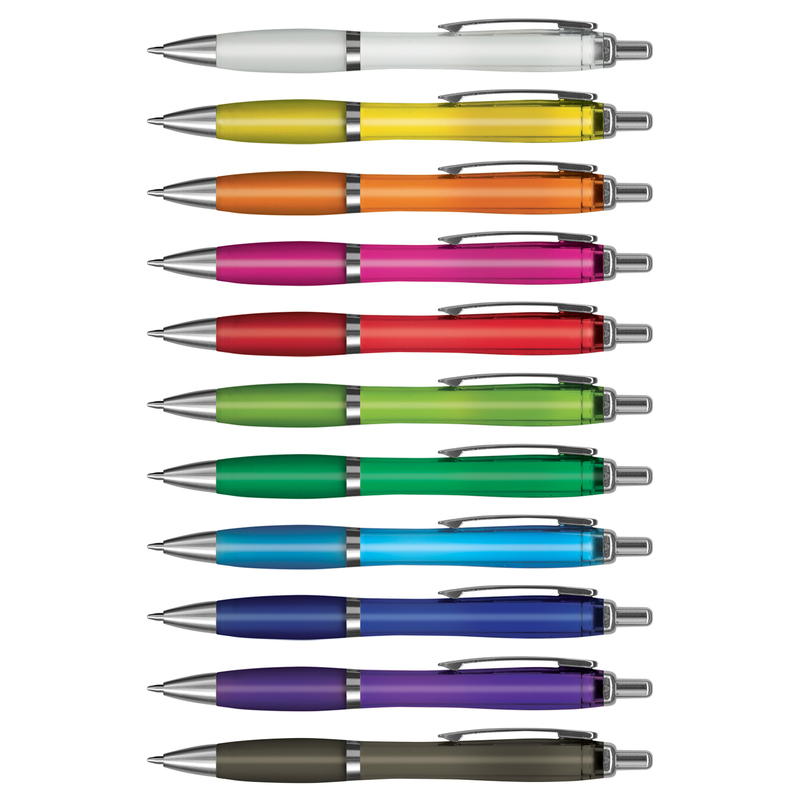 These stylish pens are available in a great range of colours and can be elegantly presented in an optional sleeve or a gift box. 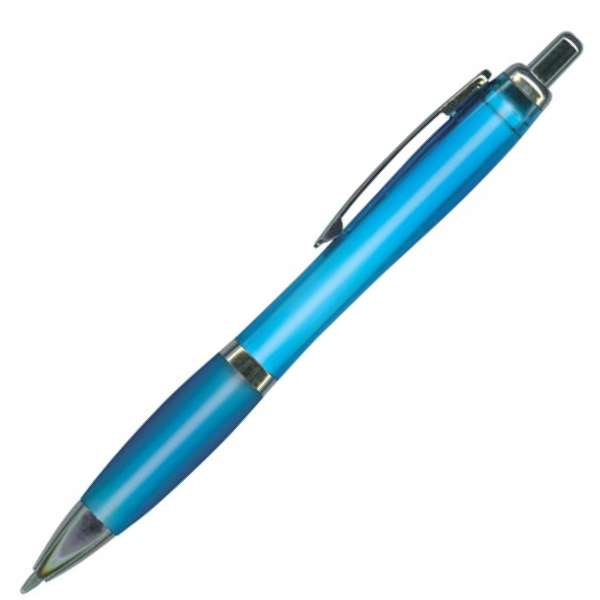 Note that Blue ink is available for an additional cost.